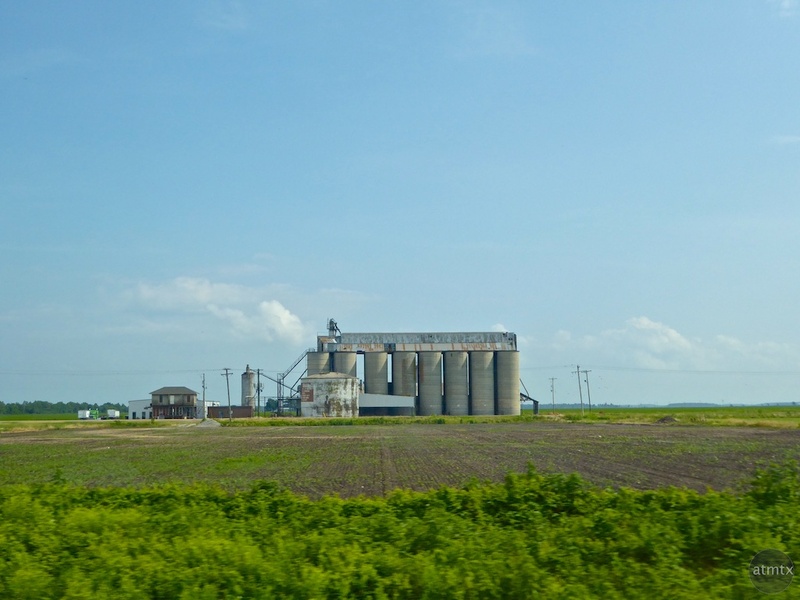 Found somewhere in the middle of Arkansas along Interstate 30 — even as a city person — I recognize these structures as grain silos. I snapped this one, along with a lot of surrounding negative space, which nicely isolates that subject. Shot at 50mm with the Panasonic ZS50, while my son drove from Hot Springs, Arkansas to Memphis, Tennessee.